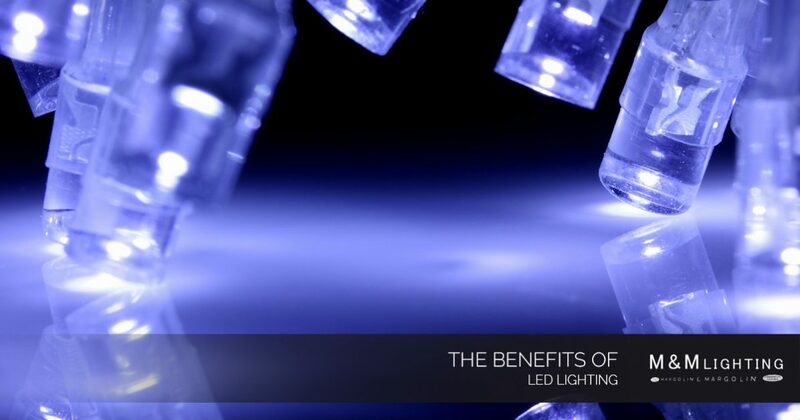 Light-emitting diode (LED) lighting is becoming increasingly popular across the U.S., becoming a good portion of the population’s go-to lighting preference. That’s due to the many benefits this type of lighting provides for homeowners and property owners, such as cost effectiveness and energy efficiency. Though LED lighting was first introduced in the 1960s, its popularity is recent. In fact, nearly 80 percent of all U.S. lighting sales are energy-efficient options, according to a recent Bloomberg article. At M&M Lighting in Houston, Texas, we offer a broad selection of lighting fixtures that hold traditional and LED lighting options. Make sure you reach out to our team of lighting specialists for any of your lighting needs, and contact us today! Here are a few of the reasons folks are making the switch to LED lighting from traditional lighting options. LED lights are most commonly known for being eco-friendly, as they don’t contain any toxic materials, such as mercury. They’re also recyclable, adding to their appeal — one LED light bulb can save the material and production necessary for 25 traditional incandescent light bulbs. LED light bulbs also don’t heat up as much as traditional lights do, ultimately reducing the amount of heat and emissions released into the environment. This tends to be the number one reason homeowners switch to this type of lighting: It can save them more than 90 percent on their energy bills, when used efficiently. Also, due to the longer lifespan of these light bulbs, LED light bulb owners make less trips to the store to replace their bulbs, saving more than a few bucks in the long-term. Sure, traditional light bulbs only cost about $1 each, whereas LED light bulbs are an average of $8 each. But in terms of energy efficiency and lifespan, studies have show you could save more than $3,000 in a 20-year span by making the switch to LED from incandescent lighting. LED lighting has a longer lifespan. LED light bulbs tend to have longer lifespans, thanks to their durability and design. They last 25 times longer than incandescent lighting, sometimes lasting as long as 40 years. Their average continuous operational lifetime, though, is at least 11 years, or 25,000 hours. Compared to a traditional light, that’s pretty notable, considering incandescent lights have a lifespan of 1,200 hours. Fun fact: It would take about 21 incandescent light bulbs to last 25,000 hours. Also, LED light bulbs have a high durability. They don’t have any filaments or glass enclosures, which means they’re less likely to break and aren’t as affection to vibrations as traditional lights. Not only do LED light bulbs have a better light quality than traditional lighting, but they also consume less power. They’re about 60 to 90 percent more energy efficient compared to conventional lighting, depending on the type of LED bulb being used, and they use at least 75 percent less energy than a traditional light bulb. According to The Simple Dollar, LED lights use about 10 Watts, whereas incandescent lights require about 60 Watts. LED lights can be used for industrial, commercial and home lighting. LED light bulbs have many benefits, and at M&M Lighting, we have a wide variety of fixtures that are compatible with this type of lighting. Our team of lighting specialists know everything there is to know about lighting, from functionality to design. Our professionals can connect you with your ideal LED lighting fixture, if you’re thinking about making the switch (or already have). M&M Lighting has been a top distributor of lighting fixtures and ceiling fans in the greater Houston area for more than 50 years, and we’re proud of that.